Set of 40 white handled gift bags - white only. No Returns. 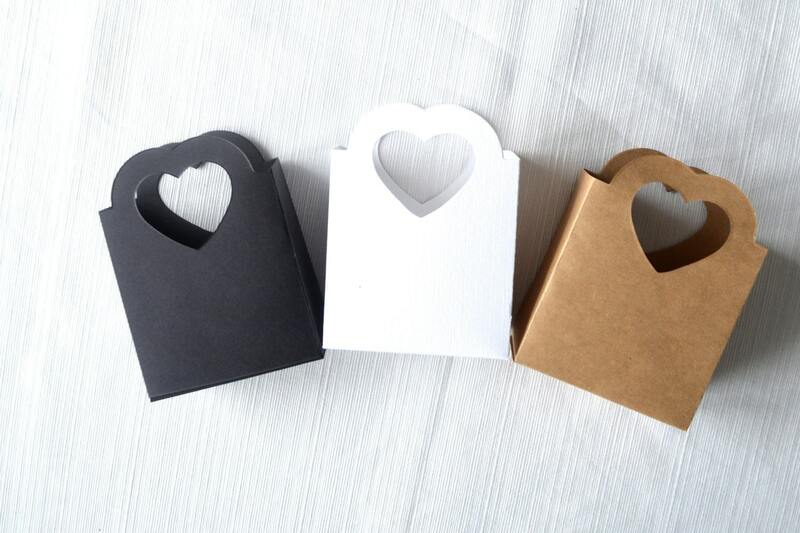 These Heart Handled Gift Bags are lovely solutions for holding party favors, small gifts, gift cards, baked goods, nuts & candy, or table decor. 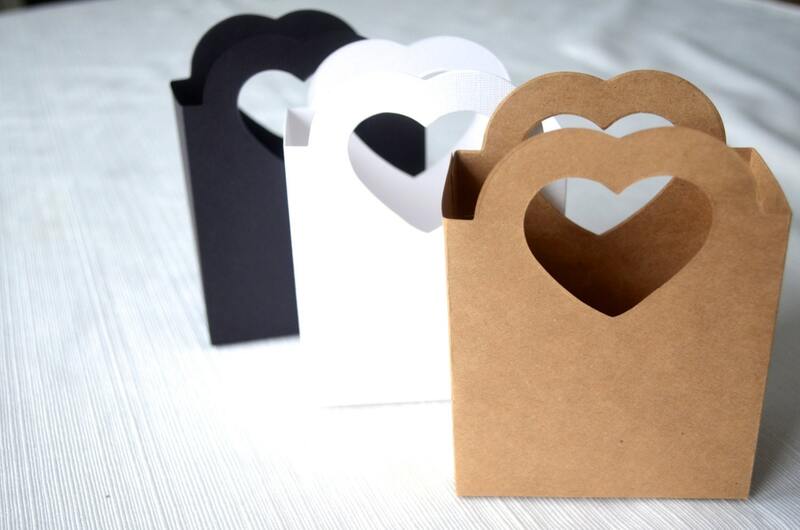 Perfect for weddings, parties, school events, and simple get-togethers, these heart handled bags these heart handled bags are easy to use and will surely be noticed by all! Please note the bag dimensions. These bags are not designed to hold heavy objects. If you are unsure if they will hold the item you intend to use, please contacting us and we would be happy to confirm if they will work or not. 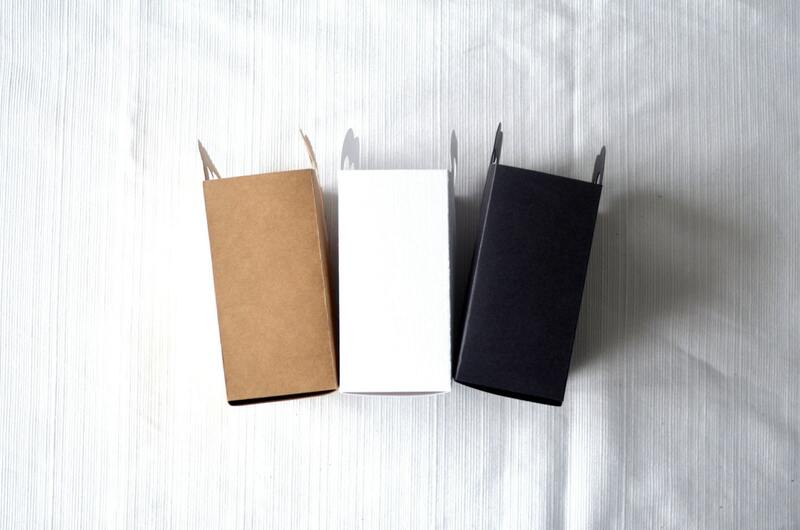 Each paper bag is hand-punched from sheets of lovely heavy weight paper and is 5" tall from the top of the handle to the base, 2" deep and 3 3/4" wide.